Ask a number of people who the best quarterback in the 2019 NFL Draft is and you’re sure to get a number of different answers. Ask which quarterback the New York Giant should take, and whether or not they should even take one at all, and you’ll get even more answers that vary wildly from one another. 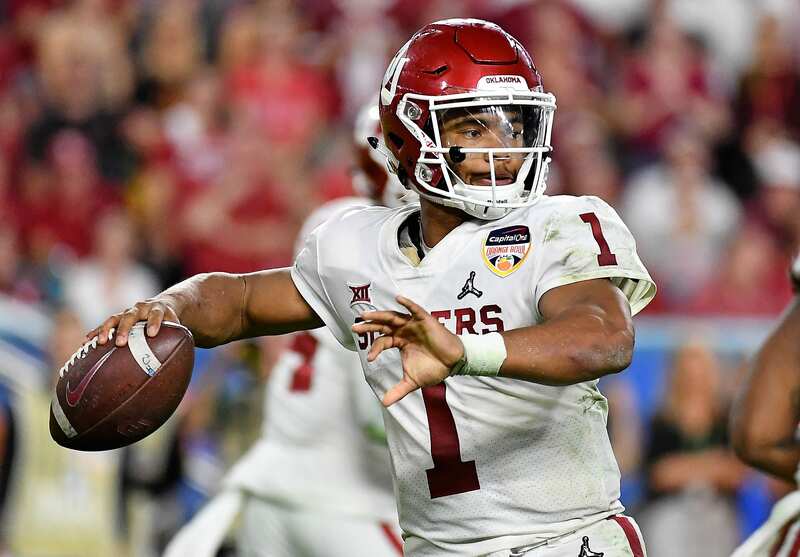 Kyler Murray has been a speculated option for the Giants ever since Murray declared for the draft and decided to play football at the next level instead of taking more of a sure thing by going to the MLB, where he was already drafted by the Oakland Athletics and had plenty of money waiting. But there’s plenty of concerns about whether Murray is actually the best quarterback in the draft, even while being mocked to the Cardinals at number one overall by some experts. There is one famous player, however, that thinks that Murray is the top member of the quarterback class. That would be recently retired former New York Giants receiver Victor Cruz, who supported Murray when asked about the best quarterback prospect in the upcoming draft. Murray would be the shortest starting quarterback in the league if he does end up in such a role following the draft. Intangibles are also hard to base draft choices off of. After all, plenty of players have been leaders in college but failed to make a splash at the next level, especially at the quarterback position. Just ask Tim Tebow. But Murray looks to have more than just intangibles, winning the Heisman Trophy during his last year with the Oklahoma Sooners. Will the New York Giants consider putting Murray behind Eli Manning this season if they spend the sixth pick on him to strengthen the team’s future at quarterback? It doesn’t seem like the most likely option and Murray may very well be off the board by the time they pick at number six overall. Still, the Giants front office has been anything but predictable this offseason. And if there’s one thing to take away from that when dealing with General Manager Dave Gettleman, it’s to expect the unexpected.